It is good that you foster dogs in addition to cats and the very cute hamster that roams and hops around like a free bird. Yeah, that little guy is everyone’s favorite. But you must’ve noticed that despite your home is a happy place it has seized to be a clean place. Potty training each one of your pets is not an easy task. And while you reluctantly undertake it knowing that it might not get you anywhere, you might as well learn some natural pet stains and odor removal techniques at home. They will help you cope with accidental spills and “poopy” situations that threaten the beauty of your carpets. Always start by blotting up all the liquid very thoroughly from your carpet. Do not rub! When you’re performing any kind of pet stains and odor removal at home all by yourself you can’t emphasize enough on the importance of this step. You can also fold up a cotton towel or an old rag over it and place something heavy on it. You just have to squeeze it all out before you begin with the final cleaning process. Now that all the liquid is out you can mix 2 cups of white vinegar with equal parts of lukewarm water. Now add in 4 tablespoons of baking soda but make sure to add it gradually in smaller quantities so that it doesn’t fizz over. Pour the mixture into a spray bottle and close is tight. Now spray generously on the affected area and let this sit for 5 to 10 minutes. Now grab a cotton cloth and gently rub and blot the area. Do it until the entire stain is removed from the carpet fibers. Not many of us know that hydrogen peroxide is a great solution to pet stains and odor removal. It is a great substance and really comes in handy when you want to break down urine crystals formed inside the carpet fibers. It is very effective in pulling out stains and when you combine it with baking soda, it forms a naturally deodorizing agent that gets rid of the most stubborn of smells. Begin by covering the stain or the affected area with a clean white cotton cloth or paper towels or cotton rags. Then to apply some weight on them you can walk over them or place something heavy on top. This will help the clothes or towels soak up excess liquid. Now sprinkle ample baking soda over the stained area when you see that there is no more liquid anywhere. Now mix ½ cup of 3% hydrogen peroxide with 1 teaspoon dish liquid together. Then stir it well. Slowly pour it over the stained parts of the carpet where the baking soda is. Scrub it all gently into the carpet fibers. Let all of it sit for 10 to 15 minutes. Vacuum the area afterward and repeat it to remove even tougher stains. Do Dangerous Bacteria Lurk In Your Carpet? Are vacuum cleaners the perfect choice for rug, upholstery, and carpet cleaning services? Just like you, many people believe in vacuuming their carpets and rugs regularly to remove dirt or hidden allergens from them and prevent any and all kinds of small mishaps. Whenever you vacuum your carpets or upholstery you feel as if something has changed. They just somehow seem fresh afterward. And it is true up to a limit. What you need to know is that there are still several allergens, mold spores, and plenty of harmful bacteria in them even after you’ve cleaned them thoroughly with a vacuum. Viruses are still living in your carpet fibers and needless to mention your family, kids, elders and even pets are in danger of contracting some kind of allergies and diseases from these bacteria. Everyone who has had some kind of firsthand experience with these diseases caused by dirt and bacteria in their carpets and upholstery knows that in order to have a healthier and cleaner home, they need to keep their vacuum cleaners clean as well. Yes, if you want to keep these germs and pollutants out of your home you need to make sure that the vacuum cleaner that you use for all your carpet, rug & upholstery cleaning is clean and free of any dirt or grime. Are There Any Allergy Sufferers In Your Home? Be careful of any allergy sufferers in your home. If you have any pets such as cats, dogs or hamsters in your home this might interest you. According to several independent studies close to 10% of the general population and about 40% of allergic individuals among us react to pet dander or allergens left behind by cats and dogs. Also, allergies to cats are twice as common as those to dogs. In several homes where there are no pets, one can still find enough dander that is enough to cause allergic reactions among family members. Your pets are not the only source of dander and old skin scales. These can often come from dandruff in humans and are extremely tiny which are not visible to the naked eye. They can easily circulate in the air around your house and can cling to your precious carpets and drapery, upholstery and mattresses, wallpapers and coverings, your furniture and area rugs and any other porous surface in your home. Stay Away From Pet Urine! 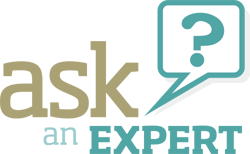 Do you know how the health of your carpets is linked to water damage in your home? Ask your water damage restoration team or the company you hire for carpet cleaning in New York City and they will tell you the correlation between these two things. But before we throw light upon the various causes of water damage let’s see how water damage affects your carpets in the first place. Carpets absorb the abnormal amount of water and become heavy. This makes it difficult for the homeowner to move them out of the house so that they can be cleaned. If you have severe water damage in your home, make sure to contain it by putting barriers and safeguarding your carpets on time. Your carpets may become soggy and moist when in contact with moisture in the air. In the presence of excess moisture in the air, the fibers of the carpets may become fluffy and that may result in more allergens and grime getting trapped in them. This makes your surroundings more unhygienic. In case you have excessively damp walls your water damage restoration team would recommend you to remove all your carpets and rugs from the affected area. This is because as the room starts getting affected by water seepage, a musty odor sets in and it penetrates the fibers of your carpets as well. They gradually start emanating the same odor and it gets very difficult to get rid of it. You must be thinking of hiring a rug cleaning service in the city since the weather is about to change. You want your spring to be clean and fresh and this seems like the right way to do it and the right time as well, doesn’t it? Well, it is that perfect time when you would want everything to be clean and free of allergens. Whether you are someone who suffers from any kind of breathing problem or you have someone in your home who suffers from the same, the bottom line remains the same. 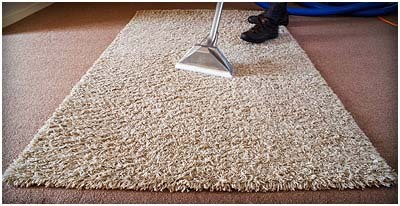 You want your rugs cleaned and germ free and there is not a chance that you will take a chance with them. Your rug and Carpet Cleaning NYC company would understand how you are coping with allergies everyday day in day out. This is the reason they would know just how important it is for you to maintain a clean and tidy home that has a welcoming environment and a healthy vibe. It is not just about minor allergies or occasional asthma relate problems but the year-round potential of health risks that makes it more essential for you to hire a professional carpet and rug cleaning company in the city. Yes, the professionals have ways to reduce your misery of sneezing, and do way with itchy eyes and that incessant throat infection that does not want to leave your side. And talk about the constant respiratory distress, this can be taken care of too by just cleaning your home correctly to remove all the harmful allergens. They would also take certain measures to control pests, insects and mice by sealing any cracks that might allow their entry into your home. These were just a few tips that would help you out too if and when you think about cleaning your home of all the allergens that bother your family. Don’t you just hate it when something edible spills on your carpets? I mean you run 2 separate things at once; your appetite and the precious fabrics of your carpets or upholstery. If you happen to spoil your favorite dessert or mango juice or cranberry sauce onto your upholstery or carpets you are probably never going to forgive yourself for the rest of your life! Are we getting dramatic here? Maybe so but this is the kind of situation that calls for some action, right? Well, let’s not get carried away still. You do relish your salads and mangoes and strawberries and peaches and pomegranates and what not! All these juices and fruits and delicacies are without a doubt delicious and nutritious but not for your carpet! Yes, and this is the reason why mom always warns against liquids and fluids close to the carpets and expensive upholstery. Kids, are you listening? Cleaning them can be the real chore, ask any carpet cleaning NYC firm. Take for example cranberry, blueberry or mango or any fruit juice or pulp that you might be struggling from. Such fruity stains look cute only on your cheeks and around the mouths of your little kids. Your upholstery and carpets should be kept away from them at all costs. But you can’t be alert 24×7 and that is when the mishap takes place. But don’t panic. Cleaning them can be easy if done right. Let’s start by first removing any excess fruit pulp from the fabric of the upholstery or carpet. Use a knife, preferably a dull one or the blunt edge of it or a spoon for the purpose. Remember, and I have said it before as well, in case you spill any thick liquid or edible items on your expensive carpets and fabrics, DO NOT even think of wiping it off because that will just push the substance or the pulp or stain deeper into it. Grab a bunch of paper towels or a clean white cotton cloth to simply pick and blot and absorb as much moisture as you can. Now, flush the stained area of the fabric with cold water. Use a mild cleaning solution to break down the spill and dissolve all of it in ample foam. These solutions are the same as most reputed carpet cleaning companies in NYC use and can be found easily over the counter. Spray clean water with a spray bottle and wipe clean the foam without pressing hard. Repeat the procedure and dry it completely to prevent any returning stains on the same spots.